Buy in calais on offer Arcane Rum from Mauritius Island. 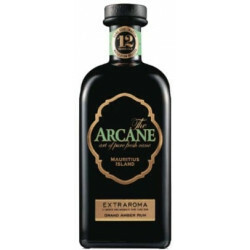 Arcane rum produced in Mauritius was created in 2010 by Thibault de la Fournière on a simple and fierce will! Arcane must produce rums that celebrate the high-quality sugar cane produced in Mauritius. Indeed, everything is gathered in Mauritius to produce a beautiful cane, a tropical climate with frequent and abundant rainfall and a good soil. drained. Sugar cane is milled within 24 hours of being cut and extra fresh cane juice is brought to the distillery. 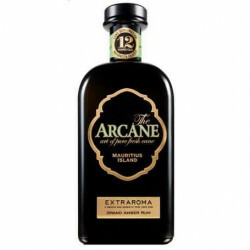 The result is a rum full of vivacity and freshness, carried by notes of fruits and exotic flowers and a slightly epicate finish highlights this beautiful work. Aging preserves these rums this original freshness.